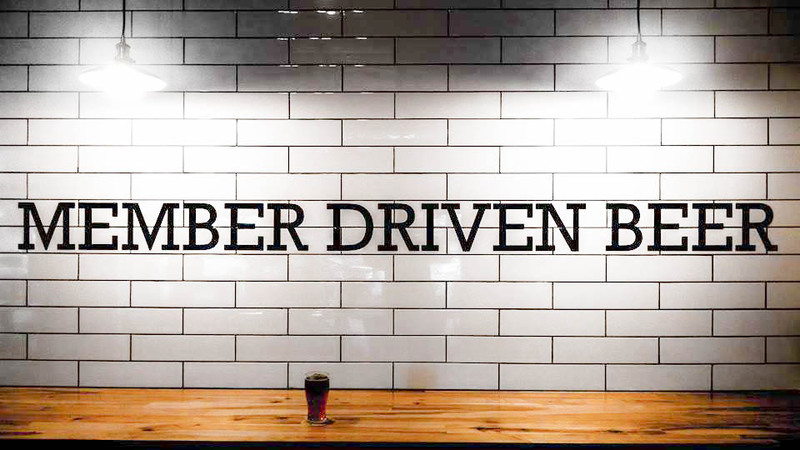 Be part of Washington's first community owned brewery. If you are a craft beer lover or like to brew it, take ownership now by joining today. Jump on board and become a member of Flying Bike! As a member you get to be part of something truly unique - co-own and help steer Washington's only cooperative brewery. A lifetime membership is $200 and gets you tons of perks: swag, voting rights, educational opportunities, member-exclusive events, and early access to special bottle releases. Right off the bat you get a member shirt and pint glass. Homebrewer? You can enter your beer in our quarterly competitions - the winning beer gets scaled up and put on tap. 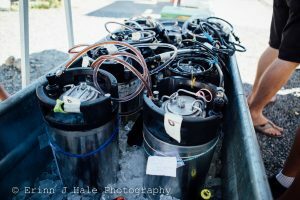 Not a homebrewer? You get to judge those beers! Whatever your interest, Flying Bike has beers and events for you. Learn more below. Our joining member program allows new members to get on board with an initial payment of just $50! Joining members then continue to make payments toward full membership over time in the tasting room. As long as you're in good standing, you will have access many of the full member benefits (outlined below). It's easy to stay in good standing; Simply make at least one $10 payment toward your membership every 60 days. If payments lapse, it's no big deal. Simply make a single payment to return to good standing. Know someone who would love being a co-owner of a brewery? Flying Bike Cooperative memberships make great gifts for friends, family and coworkers! With your purchase you will receive a gift code that is redeemable for a lifetime membership. Memberships are $200. Compete to get your beer on tap! A Co-op at it's essence is a member owned and directed enterprise that operates for the mutual benefit of all members and others in the community. More info on Cooperatives can be found here. 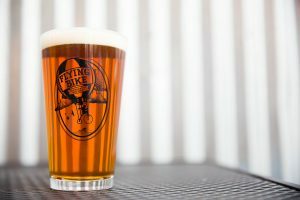 How is Flying Bike different from other breweries? 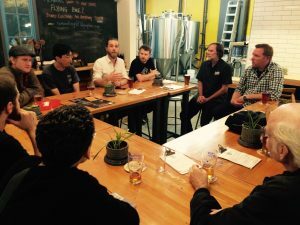 Flying Bike is more than a brewery: it is a community-owned business that produces delicious beer, sourced from the membership, while also providing opportunities for education and community meeting space. Why do co-ops have memberships? Co-ops are built on member-ownership. Members own and help make decisions about how the business is run. Members also provide the financial foundation of the business. Do you have to be a member-owner to drink at Flying Bike? No. Everyone is welcome to visit the taproom and everyone is welcome to join! If everybody can shop at the Co-op, why become a member-owner? Member-owners provide critical community support for the Co-op. Their ownership share and involvement in the business make the Co-op possible. Also, member-owners receive specific benefits – they vote for the Board of Directors of the Co-op and on other matters brought before the membership; members will receive patronage refunds as the Co-op becomes profitable; they will receive member-only discounts and information. Members also get access to exclusive events. 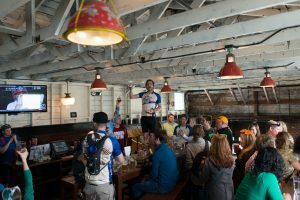 Even better, members may enter their homebrew in beer competitions and help select winning brews to be produced by Flying Bike! The Board of Directors is responsible for legal and financial decisions that affect the Co-op. The Board is elected by the members around the Co-op annual meeting. How much does ownership cost? A lifetime membership costs $200. This amount purchases one voting share in the Co-op. This is a one-time purchase, with no recurring fees. Check it out at this link, and tell your friends they can now easily join you as an owner of a real brewery! Flying Bike has members all over the US; you don’t have to live in Seattle, or even Washington, to be a member! A member’s voting share is returned to the Co-op when membership in the Co-op is terminated under the conditions set forth in the Co-op’s Articles of Incorporation and Bylaws However, only members in Washington State are eligible to purchase Flying Bike preferred shares. If the Board finds that a member is no longer eligible to own Shares in the Cooperative or who has otherwise become ineligible for membership, then the Board has the right to redeem the Shares at an amount equal to the value of the consideration for which the Shares were issued. Upon such redemption, the ineligible holder ceases to be a member, to have voting rights and to receive a patronage dividend. Can the Co-op be financially successful? Yes! We are very confident of this. Our business plan shows the potential of profit by the second or third year of operation, using very realistic assumptions. The intent is that the Co-op will have the ability to generate profit so that we can provide additional services to the membership and the community. Future decisions will determine how the funds are used. Some of these actions may include enhancement of the services offered in the brewery, expansion of the brewery, reduction of prices, increased dividends for members, increased wages, or investment in community projects. The membership, through the Board of Directors, will make the decisions about these actions. Is Flying Bike a non-profit? Yes and No. Flying Bike is incorporated under the Washington State Nonprofit Miscellaneous and Mutual Corporation Act. However, we are not considered a non-profit under federal law, and thus, contributions to Flying Bike are not tax deductible. Flying Bike will not be profit-driven. Some businesses exist to earn a profit for their owners. Cooperatives exist to provide a service to their owners. A well-run Co-op needs to be able to earn a modest profit. This profit allows the Co-op to invest in the growth of the business to better serve its member-owners, to invest in the community, or to take other actions consistent with its mission. Additional profit that results from members’ patronage will be refunded to them. A portion of this refund will be in cash or vouchers. The balance may be in increased equity in the Co-op. The Board of Directors working with all the member-owners determines these actions. Click the "Sign Up Today!" button above or simply click here. What do I do with a membership redemption code? If you purchased or were gifted a membership redemption code, head over to our membership redemption page to get started.